Rotary Club Oudtshoorn donated a 2200L Water Tank to Zeekoegat Primary School Trust. This tank will now be the lifeblood for Zeekoegat Primary School’s Vegetable Garden. 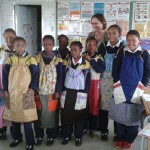 Zeekoegat Primary School Trust, a Non-Profit Organisation that raises funds to support a small rural farm school. This school is situated close to Safari Ostrich Farm. We are extremely excited and grateful for this donation. The Charity Donation by Rotary Oudtshoorn is going to make a marked difference to this community. Children, staff and parents climbed in on Thursday 24 April 2014 and out of nothing created a humble little area for the planting of vegetables. The Garden will produce vegetables which is much needed for the Trusts Feeding Scheme. 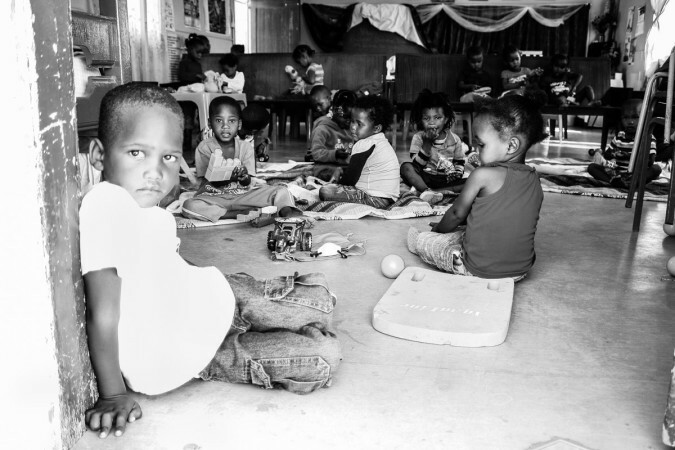 The Trust provides at present 112 children with Breakfast and Lunch, many of the children come to school hungry. For some children this is their only meal of the day. 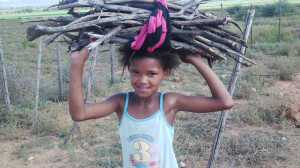 The Zeekoegat Primary School Project is on an on-going basis providing much needed support. 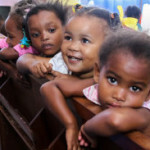 The school provides education to children that come out of poor homes and they have very limited finances and support. 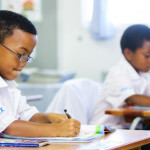 The Trust helps to alleviate the short fall for this school and its children. A good Education is the best future for these children and our country, which is still burdened with high levels of unemployment. Therefore this donation from Rotary Oudtshoorn will help to feed hungry children and ensure that they can focus on learning. Tyre Rama Oudtshoorn also jumped in and donated all their old tyres’ to the school, which will be used as planters. Thank-you, YOU made a difference! All rights reserved. Copyright Zeekoegat Primary School Project 2014.